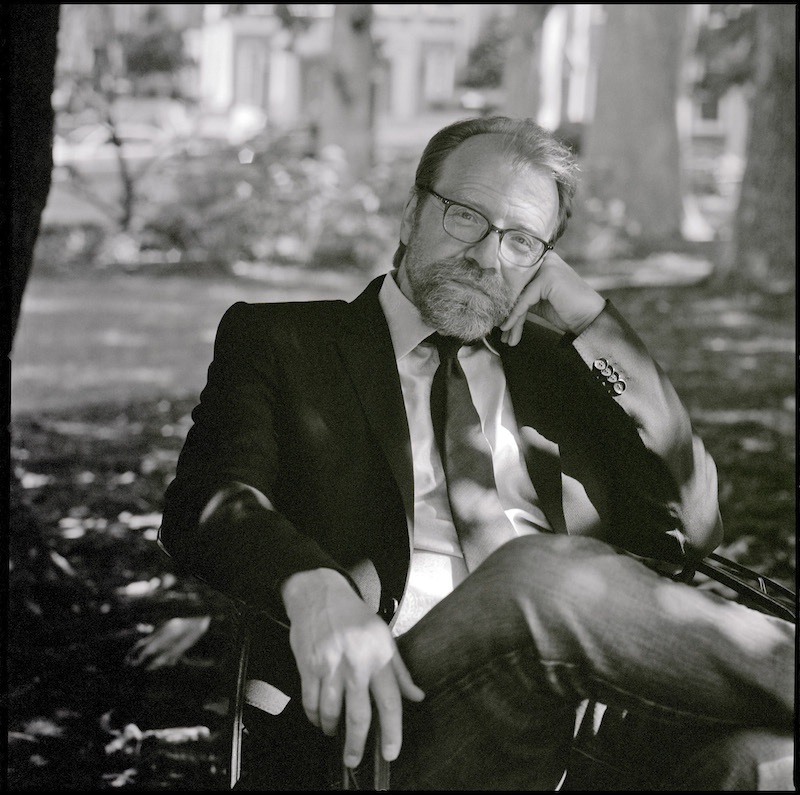 George Saunders is an award-winning short story writer and a MacArthur “Genius,” but his very first novel was just released last week. Lincoln in the Bardo tells the story of a grieving Abraham Lincoln visiting the tomb of his recently deceased 11-year-old son, Willie, who is being watched over by ghosts that narrate the book. Saunders will read from the novel on Saturday at Highland Inn. He spoke to us about writing his first novel, historical research, and how it fits into today’s political sphere. You’re known as a short story writer. What made you decide this was the right story for a novel? I had a pretty good life as a short story writer. I got fond of the idea I only wrote stories and was a purist. But this little nugget of an idea was bugging me for 20 years. Finally in 2011, my last book was done, and I thought, Why am I not doing this novel right now? All the answers were kind of sad: I don’t think I am up for it, or I don’t think I have a big enough heart. So writing this felt like a noble challenge. Writing a novel was pretty much nonstop terror. But I’m at the midpoint of my career, and one of the dangers is to succumb to that terror by just repeating yourself. You have to push out into the stuff that’s possibly going to lead to failure and hope that it won’t. Were you ever daunted by stepping into such an extremely researched historical period? Yes, and to [write about] Lincoln was incredibly intimidating. That’s part of the game as a writer: You walk up to certain material and try to become aware of what the dangers are. One [example of this] is thinking that the Lincoln character is going to talk like “The Gettysburg Address.” He can’t. As a writer, you have to figure a way out of traps, almost like MacGyver. But if you approach a story and there are no dangers, it’s not interesting. When the was book mostly ghosts, it didn’t have an emotional power, so it needed a historical spine. But I noticed that in historical readings, one incident is often described in multiple ways because people felt differently about the incident in later years. It was almost like a bunch of different rafts on a really choppy sea, and each raft has an ice skating rink, and the people skating are drunk. There’s not one authoritative version of history we can rely on. Even memories are changing all the time, but that doesn’t mean there’s not truth. How did you approach using the ghosts as narrators? Almost everything that’s weird or unconventional in the story, I had to ask, Are you in service of the emotional power of book? If the answer was yes, I left it in. I tried to destabilize myself and not rest in a static idea of what the afterlife would be. [In terms of the format] the minds in the graveyard are speaking directly to each other, and I knew it would have a really cool look on the page. The book sort of teaches you how to read it as you go along. So yes, the cost of admission is a little high, but my contention is that the weirdness enables a lot of cool things later on in the novel. How do you expect this novel to be viewed in the current political climate? This book was done by the time Trump appeared, so there was no cause and effect. But I been messing around in Lincoln’s mind for four years. All the qualities that made him a great leader were negative: He was sad, kind, didn’t like conflict, was inclined to see other people’s sides. He made up his mind very methodically. His early views on race were overturned by facts. In really beautiful writing like Lincoln’s, language is a truth-seeking device. He reasons his way into knowing freedom [for slaves] is the correct response. I always felt that American culture was not that interested in writers—like [writing] was a nice quaint thing we’re allowed to do—but to be alert to language is an amazing political tool. You were a bit prophetic about Trump’s presidency at the end of your New Yorker piece on his supporters. How does that feel now? I came back from reporting that piece really uneasy. In retrospect, I had an intuition something was up. The main reason I felt uneasy was because the people at the rallies were so normal—just really nice people who were going to vote for Trump. I just didn’t know why Trump didn’t seem as offensive to them as he seemed to me. I could be persuasive and logical in my [liberal] politics, but nobody was budging. It was clear these two ships were not in communication. In the piece, I was trying to be careful to not to be too superior and partisan. Americans used to value virtues of hands-on experience, good neighborliness, having a sense of humor, and those are not left-wing virtues. I wanted to hold this Trump movement up to these standards. And if somebody in power lies, we should all be comfortable saying [he or she lied]. I will wait and see what really calls out to me. Fiction kind of works on a different time frame than whatever is going on in the world. I’m constantly thinking about Trump, but my first instinct is to write something in an alternate space or time. You go deep with whatever interests you, and if you go deep enough, you’re not going to be moored in contemporary issues.